Black will answer 4.cxb5 with 4...a6. The follow-up will involve ...g6, ...Bg7, ...d6, ...0-0 before bringing the major pieces to the a and b-files. This is a real gambit; Black can in no way rely on regaining the pawn. The Benko Gambit embodies some weighty strategic concepts. For the pawn, Black gets a little bit of development, but his main compensation is in terms of positional pluses. White's queenside will come under intense pressure, while the Black pawn structure presents no obvious targets for White to attack. The most vulnerable spot is e7, and it takes enormous effort to blast a way through to that. From White's viewpoint, the worst thing about his position is that if he exchanges off a lot of pieces (standard procedure when ahead on material), this can only serve to intensify Black's pressure; moreover some of the pawn-down endings are actually good for Black. White has a variety of systems against the gambit. The most popular nowadays are those that either refuse to win a pawn, or else seek to mix things up from the start. 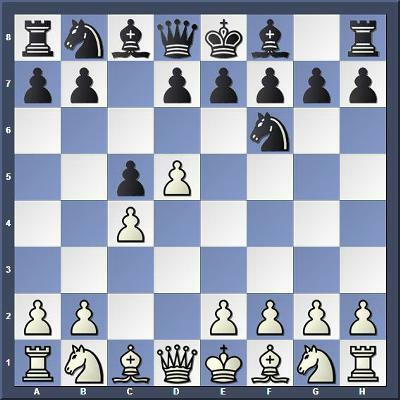 Quiet ways of declining the pawn include 4.a4, 4.Nf3 and 4.Nd2, while 4.Bg5 is more adventurous. The Zaitsev Line, 4.cxb5 a6 5.Nc3 axb5 6.e4 b4 7.Nb5 is extremely tricky and tactical. There are some crazy lines following 7…d6 8 Bc4, but objectively this should not trouble Black. He can play either 8…Nbd7 9.Nf3 g6 (9…Nb6 is OK too) 10.e5 Nxe5 11.Nxe5 dxe5 12.d6 exd6 13.Bg5 Rb8 14.Qa4 Bd7 15.Bxf6 Qxf6 16.Nc7+ Kd8 17.Qa5 Qh4! When the game should end in perpetual check by the White knight.